Erasmus probably coined the modern usage of the Latin word in his Adagia (“Adages”), published in the winter of 1517–1518, to designate the coherence of dissenters in spite of their differences in theological opinions. In a letter to Melanchthon of April 22, 1519, Erasmus specifically adduced the Cretans of Plutarch as an example of his adage “Concord is a mighty rampart”. Overt syncretism in folk belief may show cultural acceptance of an alien or previous tradition, but the “other” cult may survive or infiltrate without authorized syncresis nevertheless. For example, some Conversos developed a sort of cult for martyr-victims of the Spanish Inquisition, thus incorporating elements of Catholicism while resisting it. 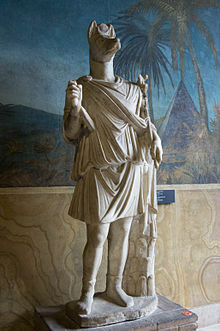 Syncretism was common during the Hellenistic period, with rulers regularly identifying local deities in various parts of their domains with the relevant god or goddess of the Greek Pantheon, as a means of increasing the cohesion of the Kingdom. This practice was accepted in most locations, but vehemently rejected by the Jews who considered the identification of Yahwe with the Greek Zeus as the worst of blasphemy. The Roman Empire continued this practice – first by the identification of traditional Roman deities with Greek ones, producing a single Graeco-Roman Pantheon and then identifying members of that pantheon with the local deities of various Roman provinces. An undeclared form of Syncretism was the transfer of many attributes of the goddess Isis – whose worship was widespread in the Later Roman Empire – to the Christian Virgin Mary. Some religious movements have embraced overt syncretism, such as the case of melding Shintō beliefs into Buddhism or the amalgamation of Germanic and Celtic pagan views into Christianity during its spread into Gaul, the British Isles, Germany, and Scandinavia. In later times, Christian missionaries in North America identified Manitou – the spiritual and fundamental life force in the traditional beliefs of the Algonquian groups – with the God of Christianity. Similar identifications were made by missionaries at other locations in the Americas and Africa, whenever encountering a local belief in a Supreme God or Supreme Spirit of some kind. Syncretism tends to facilitate coexistence and unity between otherwise different cultures and world-views (intercultural competence), a factor that has recommended it to rulers of multi-ethnic realms. Conversely, the rejection of syncretism, usually in the name of “piety” and “orthodoxy“, may help to generate, bolster or authenticate a sense of un-compromised cultural unity in a well-defined minority or majority. Religions may have syncretic elements to their beliefs or history, but adherents of so-labeled systems often frown on applying the label, especially adherents who belong to “revealed” religious systems, such as the Abrahamic religions, or any system that exhibits an exclusivist approach. Such adherents sometimes see syncretism as a betrayal of their pure truth. By this reasoning, adding an incompatible belief corrupts the original religion, rendering it no longer true. Indeed, critics of a specific syncretistic trend may sometimes use the word “syncretism” as a disparaging epithet, as a charge implying that those who seek to incorporate a new view, belief, or practice into a religious system actually distort the original faith. Non-exclusivist systems of belief, on the other hand, may feel quite free to incorporate other traditions into their own. Keith Ferdinando notes that the term “syncretism” is an elusive one, and can apply to refer to substitution or modification of the central elements of a religion by beliefs or practices introduced from elsewhere. The consequence under such a definition, according to Ferdinando, can lead to a fatal “compromise” of the original religion’s “integrity”. According to some authors, “Syncretism is often used to describe the product of the large-scale imposition of one alien culture, religion, or body of practices over another that is already present.” Others such as Jerry H. Bentley, however, have argued that syncretism has also helped to create cultural compromise. It provides an opportunity to bring beliefs, values, and customs from one cultural tradition into contact with, and to engage different cultural traditions. Such a migration of ideas is generally successful only when there is a resonance between both traditions. While, as Bentley has argued, there are numerous cases where expansive traditions have won popular support in foreign lands, this is not always so. The modern, rational non-pejorative connotations of syncretism date from Denis Diderot‘s Encyclopédie articles: Eclecticisme and Syncrétistes, Hénotiques, ou Conciliateurs. Diderot portrayed syncretism as the concordance of eclectic sources. ^ Ferdinando, K. (1995). “Sickness and Syncretism in the African Context” (PDF). In Antony Billington; Tony Lane; Max Turner. Mission and Meaning: Essays Presented to Peter Cotterell. Paternoster Press. ISBN 978-0853646761. ^ Ferdinando, Keith (1995). “Sickness and Syncretism in the African Context”. In Billington, Antony; Turner, Max. Mission and Meaning: Essays Presented to Peter Cotterell (PDF). Paternoster Press. p. 272. ISBN 978-0853646761. Retrieved 2018-06-30. The Christian faith is inevitably assimilated in terms of the existing structures of thought of its adherents, whatever their culture. Nevertheless, there are points at which the worldview of any people will be found to be incompatible with central elements of the gospel; if conversion to Christianity is to be more than purely nominal, it will necessarily entail the substantial modification of the traditional worldview at such points. Where this does not occur it is the Christian faith which is modified and thus relativised by the worldview, and the consequence is syncretism. […] The term ‘syncretism’ […] is employed here of the substitution or modification of central elements of Christianity by beliefs of practices introduced from elsewhere. The consequence of such a process is fatally to compromise its integrity. “Syncretism” . Encyclopædia Britannica. 26 (11th ed.). 1911. Assmann, Jan (2008). “Translating Gods: Religion as a Factor of Cultural (Un)Translatability”. In de Vries, Hent. Religion: Beyond a Concept. Fordham University Press. ISBN 978-0823227242. HadžiMuhamedović, Safet (2018) “Syncretic Debris: From Shared Bosnian Saints to the ICTY Courtroom”. In: A. Wand (ed.) Tradition, Performance and Identity Politics in European Festivals (special issue of Ethnoscripts 20:1).